I have come to the conclusion the the FAA really doesn’t like aviation and is working on good ways to cripple it, mainly by making it even more expensive than it is today. With rising fuel prices, maintenance prices, equipment prices, and instruction prices, we really don’t need the FAA “helping” in this way. Their latest idea is to introduce a rule that pilots with over 40% “body mass index” would be subject to mandatory Sleep Apnea testing. This testing is not cheap! This would impact approximately 5,000 pilots. If this is successful, it’s entirely likely that the scope would be expanded to include more pilots. It’s all in the name of safety! Or is it? According to Aviation Week, The agency also cites National Transportation Safety Board data that shows 34 accidents, including 32 fatal accidents, involved pilots who had sleep apnea. However, sleep apnea was not listed as the cause of those accidents. Interesting logic the FAA is using. I’d be willing to wager that most (if not all) of the pilots cited above also had 5 fingers on their left hand. It seems logical then that the FAA could reasonably propose “preventative surgery” to have one of those fingers removed, thus making the skies safer for all. I’d also be willing to bet that a large percentage of those pilots drank coffee the very same day that they had their fatal accident. Perhaps the FAA could ban coffee for pilots (no, wait, that would actually SAVE money, they wouldn’t do that). So I just have to wonder… what problem are we solving here? To randomly pick a medical condition which has not been proven to be a contributing factor to any fatal accidents seems irresponsible and foolish at best. Why does the FAA want to burden pilots with yet another hefty expense just so that they can continue to utilize their hard-earned pilot’s license? Perhaps my initial conclusion is correct: the FAA really doesn’t like aviation and would like it to go away. 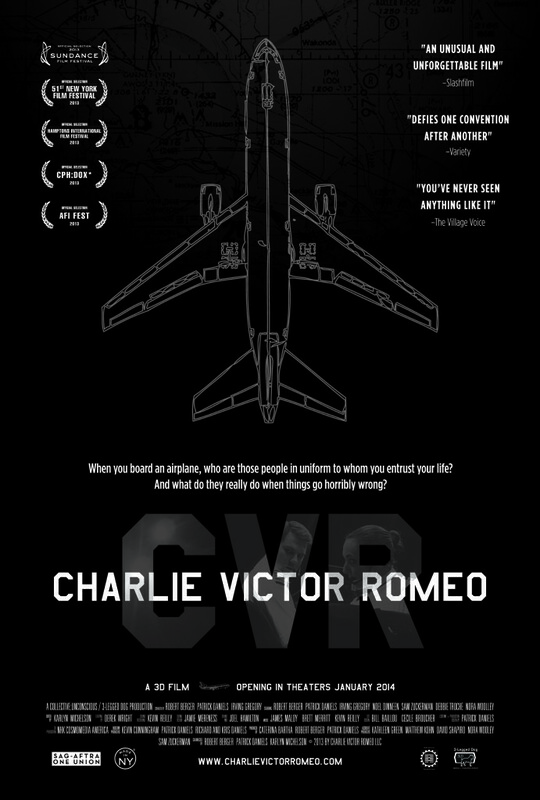 Not only is the FAA proceeding with this questionable program, they are side-stepping rulemaking channels and are classing this as a “process enhancement” which does not require any of the formal rigor that new rulemaking requires (such as evaluating the rule for sanity, asking for comments from industry professionals and pilots themselves, etc). Why are they doing this? What do they have to gain? According to the Christian Science Monitor, a circa 1912 eighth-grade exam was donated to a museum in Bullitt County, KY. They have scanned it and it has been made into an on-line exam that you can take to see how well you would do. Most people taking this exam average only 57% – it’s hard!! Our present-day school exams seem very simple and easy in comparison. IMHO we don’t ask much of kids these days (wouldn’t want to make them feel like losers, or bruise their fragile little self-entitled egos). CLICK HERE to take the exam yourself! Cal Worthington died yesterday at 92yrs old. He is pictured here with his “dog spot”. 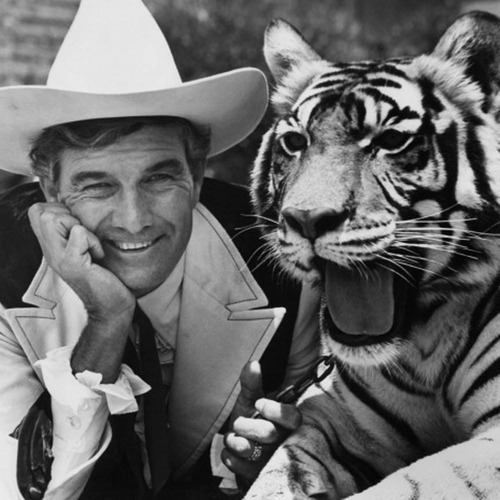 For those too young to remember, he did a long series of TV ads for his Ford car dealerships, usually featuring some unusual animal as his “dog spot”. These ads were classic ‘70s TV material, and we used to get a smile and used to wonder what the next “dog” would be. Cal, you will be missed! Is it worth the time–a great analysis! 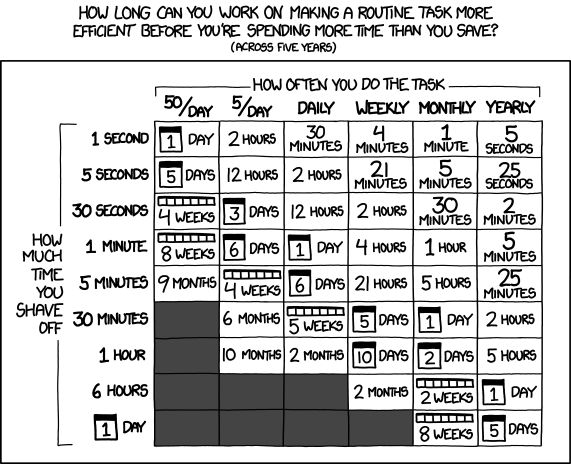 Geeks especially have a propensity toward spending time making a task more efficient and less time consuming. But how many of us have ever analyzed how often that task needs to be performed in order to make the time and effort spent optimizing it worthwhile? I haven’t, I sheepishly admit. Fortunately, xkcd.com came to the rescue! Nowhere that I was able to find on Microsoft’s site do they actually list which version shipped with which O/S. C’mon guys, why does this have to be made so difficult? After some digging, I’ll save you the effort if you are interested to know. NOTE: these reflect the last date and O/S for each version, and the final end of support date. Deployments for prior versions of Windows will hit end of support prior to these dates. IE 10 – included with Windows 8 and Windows Server 2012, and available for Windows 7. It will not be available for Windows 8.1 or Windows Server 2012 R2 – October 2015 end of support. IE11 – included with Windows 8.1 and Windows Server 2012 R2, and available for Windows 7. It will not be available for Windows 8 or Windows Server 2012 – Jan 2023 end of support. According to an article in the Huffington Post, the DNA for what looks like a 6 inch space alien has been classified and found to be human. Hollywood publishers originally said that the documentary would reveal that the DNA of the creature could not be medically clasified. In a rare stroke of honesty (much to the chagrin of UFO entusiasts), the film “Sirius” features a scientist who concluded that the little humanoid is in fact human. According to Forbes: After a week of mounting pressure from airline lobbying groups and air travelers outraged at flight delays caused by across-the-board Government spending cuts, Congress fixed the problem by preparing legislation (which the President said he would sign) to allow the transfer of revenue from the FAA’s Airport and Airway Trust Fund to cover air traffic controller salaries and prevent the closure of control towers. Contrary to what many commenters have said, this action was not a rescue of the aviation elite at the expense of social welfare programs. And no money will be diverted from DOT’s budget for other programs, such as highway improvement or bridge safety. The Airport and Airway Trust Fund is never used for these other programs and it’s misleading for commenters to imply that there will be a negative impact on these other programs by this transfer of funds. I applaud this decision, and I believe it is a good stop-gap to allow control towers to remain open and preserve the safety and efficiency of aircraft traffic. Assuming this legislation passes, it is good that an accident did not have to occur before something positive was done about the situation. However, this fund was not set up for this purpose, and it seems to me that it would be wrong to continue to redirect funds in this way for the long term. This should give the FAA time to re-evaluate and to propose cuts to meet their new budgetary requirements without compromising safety, the way their reckless and irresponsible tower closing proposal did.